We'll send an email (just one!) to your friends listed below. You get one sweeps entry for every friend you refer to SOUTHERN LIVING. Get the best recipes, decorating ideas, special offers and more with our FREE newsletter. NO PURCHASE NECESSARY. Purchasing does not improve your chances of winning. 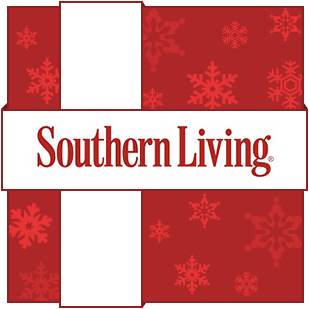 Southern Living's "The Great Big Christmas Giveaway" Sweepstakes is open to residents of the 50 United States and D.C., age 21 or older. Void outside the United States, in Puerto Rico, and wherever else prohibited by law. Sweepstakes begins at 12:00:01 AM ET on 11/01/14 and ends at 11:59:59 PM ET on 12/24/14. Click here for Sweeps Facts and Official Rules. Sponsor: TI Media Solutions Inc.